1. Aden & Anais Swaddle Blankets . These things are ahh-mazing. Jordan is the master of all Swaddle Kings, and even I could get a really tight swaddle with these stretchy and supportive blankets. In the same token, they are also light and very breathable. The list of uses outside of what they are named for, we used them to cover the carriers to shade from the sun (or from strangers) and even as space fillers in the exersaucer to give a little bit of support/stability. We registered for at least 8 and almost wished for more. 3. Chicco Lullaby Magic Play Yard (Rattania). A little more pricey, but has complete ease of assembly. No buttons, no special netting, not extra poles to place. Literally a snap and pop and its up in a jiffy! When you are putting together two, it makes all of that less stressful when it takes all of 10 minutes to get set for the twins to sleep. We set the diaper station up on one of the play yards so an easy place to change a baby. We only registered for one play yard and didn't purchase a second until the girls were 6 months old and we needed it for travel. They slept together in the same play yard for the first 4 months before we moved them to their separate cribs. 4. Sound Machine. We officially use two sound machines in their room at nap and bed time. and a fan. Jolie makes the smallest peep and Parker hops up to her feet as if she was never asleep at all. This particular sound machine is the one we travel with and is by far my favorite. Very loud and offers a variety of 'sounds'- but we stick to the 'Ocean' option. Affordable and haven't had a single issue in the 17 months we've been using it. 5. Baby Jogger 'City Select' (with the second seat option attachment). We LOVE this stroller. 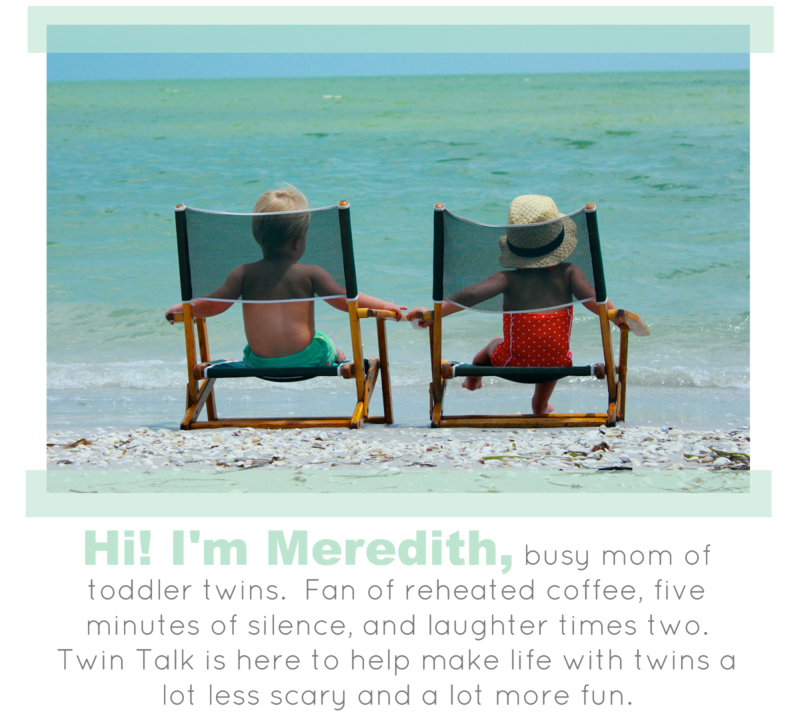 Meredith also chose to use the City Select and has no complaints, either. I wouldn't change a thing about it, except maybe the price. But, it is definitely worth the investment. The City Select itself is in fact a single rider stroller that is manipulated to being a double stroller with the addition of parts. Baby Jogger has double stroller, but I've watched other twin families attempt to maneuver through small spaces with the side by side strollers and it didn't look easy. I also don't think that the City Mini converts for using a car seat. The one we use is set up wonderfully because the seats are stadium-style. A little longer than a standard stroller, but works best for getting through small areas- like restaurants and the grocery store. When we were buying/registering for the stroller and all the parts, we went ahead and got the second seat so we wouldn't have to worry with buying it later. The second seat comes with the mounting brackets, so we didn't have to purchase those separate since we registered (and received it). You could definitely skip the second seat and get the brackets separate to save a little money. Either way you do it, you'll need the brackets for the car seat adapters. The stroller comes with a booklet with full instructions and pictures on how to set the stroller up for two. Here is a link for baby jogger- it walks you through details of the stroller as well as the many different ways to arrange the stroller with two seats/car seats. 1. Rock N Play. If I were a poet, I would write the sweetest sonnet and dedicate it to this gem. It got us through the twins' first two months and I recommend it to total strangers in baby stores. Sloane spit up quite a bit when she was little so flat sleeping surfaces made me nervous. I loved how the rock n play had a slight elevation. It's also the perfect height to sit right next to your bed. Sloane lost her pacifier throughout the night and it was so nice to just lean over and pop it back in. It's lightweight and easy to collapse. 3. Chicco KeyFit 30 Car Seat. 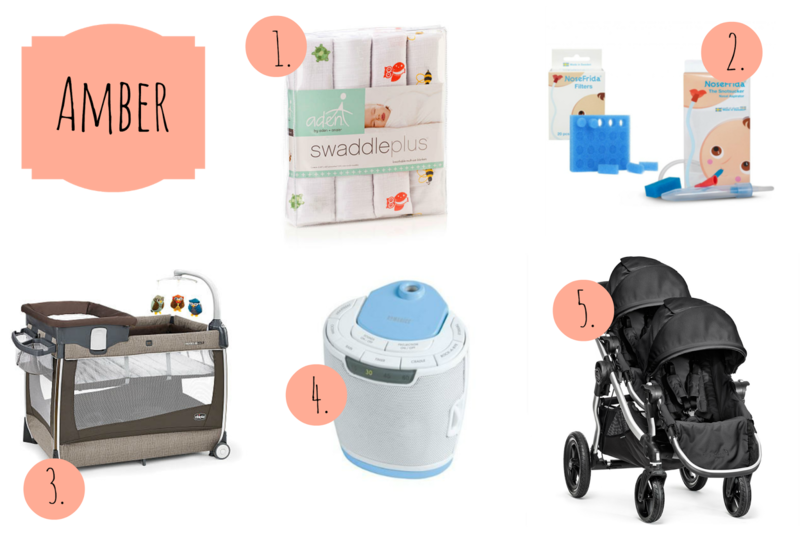 We decided on a stroller before choosing a car seat, and ended up selecting a car seat that was compatible with the Baby Jogger City Select (our decision was backed by recommendations from friends as well as great reviews). Amber also used the same car seats. This car seat can hold babies as small as four pounds up to thirty pounds. It has excellent safety ratings, a five-point harness, and is quite comfortable for your babies. The car seats are easy to latch/secure but also easy to remove from the car. 4. Activity Gym. We chose the Skip Hop Treetop Friends Activity Gym, which the twins absolutely loved. It was quite expensive and while I thought it was adorable, I'm not sure I can justify the price. However, an activity gym is a must. Jude & Sloane spent so much time on it and really seemed to enjoy it. They loved looking up at the animals and looking down at themselves in the mirror during tummy time. 90% of their newborn pictures are of them on the activity gym. 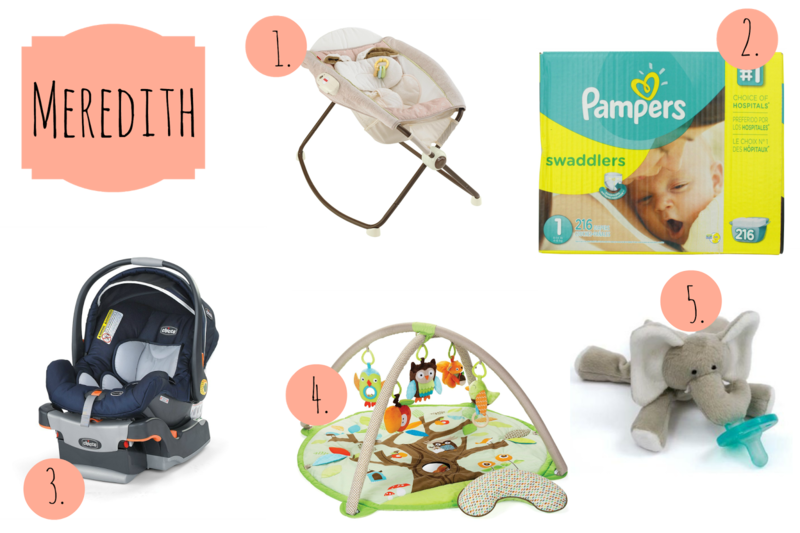 Some twin parents recommend two of these but we got by just fine with one. 5. WubbaNub. I actually had a friend on Instagram tell me Jude & Sloane should be spokesbabies for WubbaNub. They ADORE their WubbaNubs and we have 5,000 pictures on Instagram to prove it. They are most assuredly too old to still use these pacifiers but we're going with the whole "If it ain't broke, don't fix it" attitude until they turn two. These pacifiers were great when they were newborns (easy to find when you're exhausted and have babies who like to throw items) and have a calming effect when nothing else will do. They aren't cheap but I promise you will spend more if you buy regular pacifiers. Every home has a mysterious black hole and it is filled with missing pacifiers. And socks, but that's for another post. Thank you so much! We are about to register and really didn't know where to start!